At times, this blog has been a burden with all that comes with doing my regular job as an eMINTS instructional specialist. 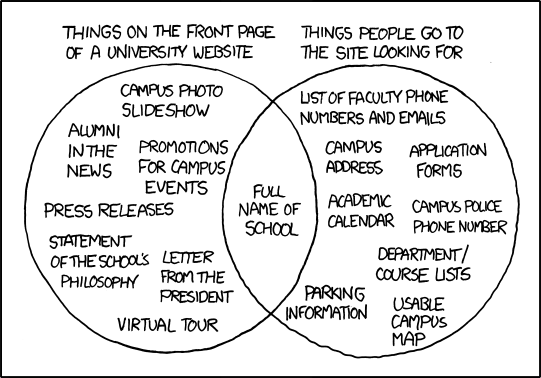 The same can be said for the classroom teacher or administrator trying to maintain a professional blog on the side. With the daily responsibilities required to educate children, it’s difficult to find time for blogging. This is why bloggin ahead is a good practice to adopt. When I am on my game, I try to have a week or more of posts in the can, ready to go. Blogging tools like WordPress and Blogger make this easy. 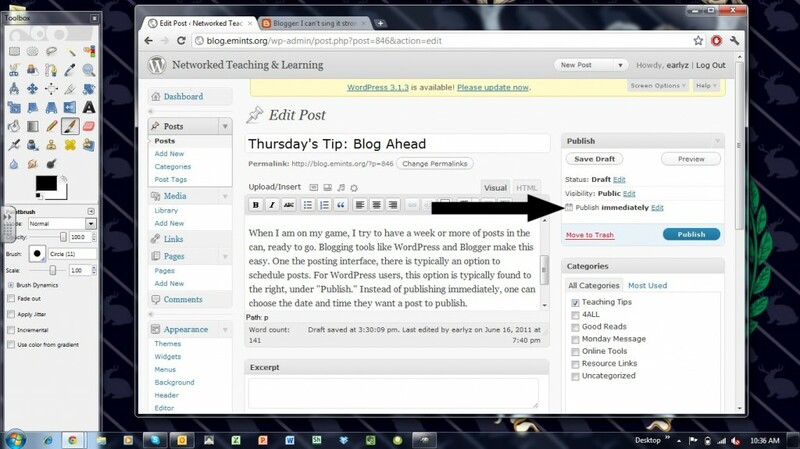 One the posting interface, there is typically an option to schedule posts. 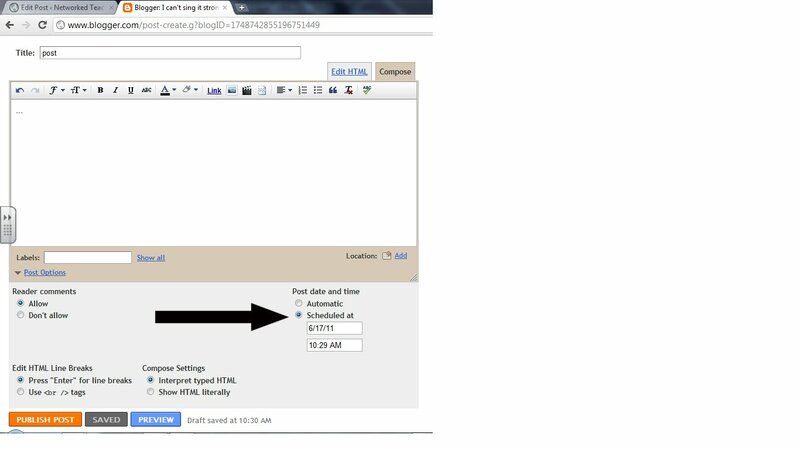 For WordPress users, this option is typically found to the right, under “Publish.” Instead of publishing immediately, one can choose the date and time they want a post to publish. Conversely, Blogger hides their scheduling option below their editing space. Click on “Post Options” and choose “Scheduled at” which will open boxes for one to enter a date and time. Scheduling blog posts allows a busy blogger to post on a regular basis without falling behind due to their “real” work. Zac Early is an instructional specialist with the eMINTS National Center.